The current research is at the interface between material nano-engineering and catalytic reactor engineering with a strong focus on the application of nonconventional energy sources, such as microwave, radiofrequency fields and UV light, to activate catalysts and to intensify reaction and transport processes. The research is focused on the understanding and controlling of the interaction of physical transport and reaction processes at all relevant time and length scales in the realization and testing of these chemical reactors for a wide range of applications and processes. Prof Evgeny Rebrov is the head of the laboratory. While electromagnetic heating has been extensively utilized in laboratory and small-scale industrial applications, the current design of a specific applicator system is usually still an empirical process relying on accumulated experience and analytical solutions to idealized cases. Understanding of the principles of coupling of electromagnetic (EM) energy with the reactor material, catalytic material and the reaction medium is of primary importance for the design of new functional materials as well as proper design of the corresponding reaction equipment. Methods to study dedicated magnetic materials include investigation of hysteresis losses with a superconducting quantum interference device (SQUID magnetometer) and the complex permittivity of the medium via a dielectric probe kit connected to a network analyzer. The analysis of temperature dependences of these qualities allows to predict a heat evolution function, which can further be used in equipment design. The demands to develop more economical electromagnetic wave absorbers, with wider absorbing bandwidths and more effective absorption properties, are ever increasing. 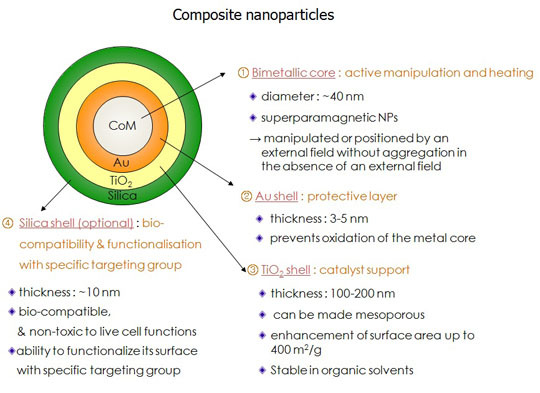 Magnetic metal nanoparticles (NPs) are leading candidates as a vector for magnetic guidance for chemical synthesis applications. The development of supported catalysts with well-defined active structures that enable selective chemical transformations and can be completely separated is a paramount challenge. 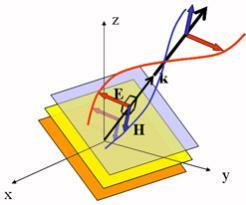 Ferromagnetic NPs are characterized by hysteresis loss, i.e. the energy transformed into heat per cycle of magnetization reversal process in the 100 – 500 kHz range. To obtain the optimum conditions for RF heating, it is necessary to find a compromise between synthesis of stable materials with large losses and the technical effort to generate high field amplitudes. E.g., FeM bimetallic magnetic NPs composed of Fe (or Co) and the second element allow to control the Curie point which can be brought near the desired heating temperature which significantly simplifies reactor operation and process control. The benefits of transition from batch-to-continuous processing in the pharma and fine chemicals industry include lower operational costs, increased productivity and consistent product quality. At the moment industrial equipment for continuous technologies is either not available or still too expensive. The synergism of EM-heating, magnetic actuation and continuous operation may improve performance and productivity of chemical reactors thus increasing the output per unit volume of plant space.